PT XL Axiata Tbk - XL Axiata (IDX:EXCL, listed on IDX since 2005) is one of the largest public listed telecommunication (telco) services companies in Indonesia. Headquartered in Jakarta, the Company operates primarily as a providers of telecommunication, telecommunication network and multimedia services. XL Axiata is recognized as a major cellular provider in Indonesia and is positioned inside the top three of Indonesian cellular operators with a 42.1 million active subsribers as at the end of 2015. XL Axiata is a local subsidiary company of Axiata Group Berhad (Axiata Group), a leading telecommunication service company from Malaysia. As of December 2015, Axiata Group is the majority shareholder at PT XL Axiata Tbk, with 66.4% of ownership through Axiata Investments (Indonesia) Sdn. Bhd and the rest is owned by the public with 33.6% shares. 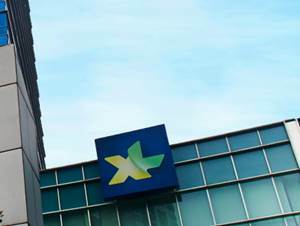 In term of financial performance, XL Axiata posted a stable financial performance in 2015. According to PT XL Axiata Tbk Annual Report 2015 as cited by JobsCDC.com, the Company's total net revenue was down 2.58% from Rp 23,569 billion in 2014 to Rp 22,960 billion in 2015. XL Axiata reported total comprehensive income of Rp 8 billion in 2015 as compared with a loss of Rp 830 billion in 2014. Minimum S1, preferably majoring in Computer Science, Business Management, Statistics, Mathematics and Information System. Minimum 5-6 years of experience in Data Analytics/MIS/Statistics/Business Strategy. Predictive modeling, statistics or machine learning or computer science background, Hive/Python/R. Strong communication and visualization skills. Proviciency in SQL, MS Excel and PPT. Good project management skill, VB/Google Analytics or web programming. JobsCDC.com now available on android device. Download now on Google Play here. Please be aware of recruitment fraud. The entire stage of this selection process is free of charge. PT XL Axiata Tbk - Recruitment Data Scientist, Data Steward XL Axiata May 2016 will never ask for fees or upfront payments for any purposes during the recruitment process such as transportation and accommodation.